Rory Jones!!!!!! 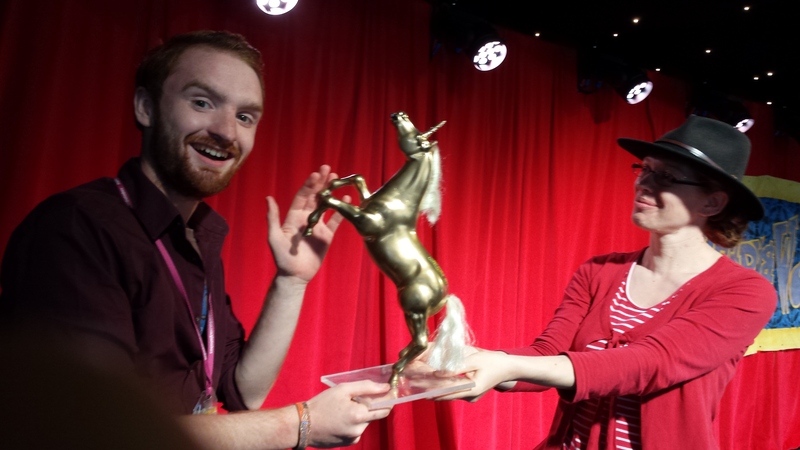 who wins not only a beautiful golden unicorn but a spot to perform at next year’s Glastonbury!!! Massive thanks to our hosts, Varjack and Simpson. Our sacrificial poet and last year’s winner, Erin Bolens. And all the slammers who took part. 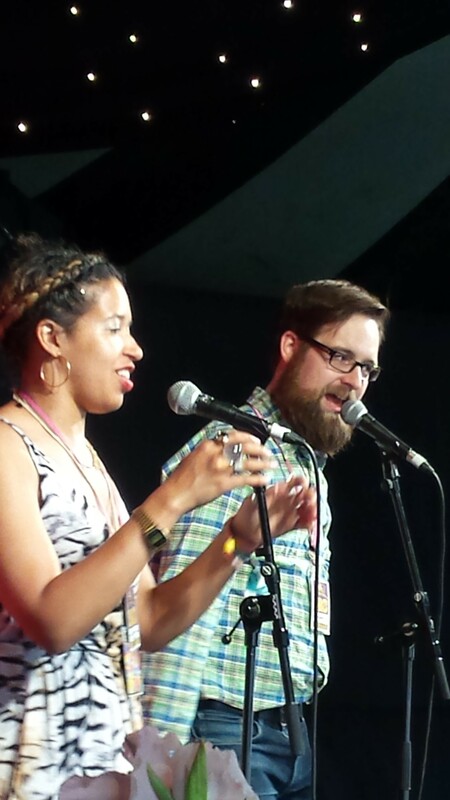 That’s it from another Poetry&Words at Glastonbury. It’s been an absolute pleasure following in the footsteps of Deanna Rodger, Hollie McNish and Annie Mcgann as the poetry stage blogger. 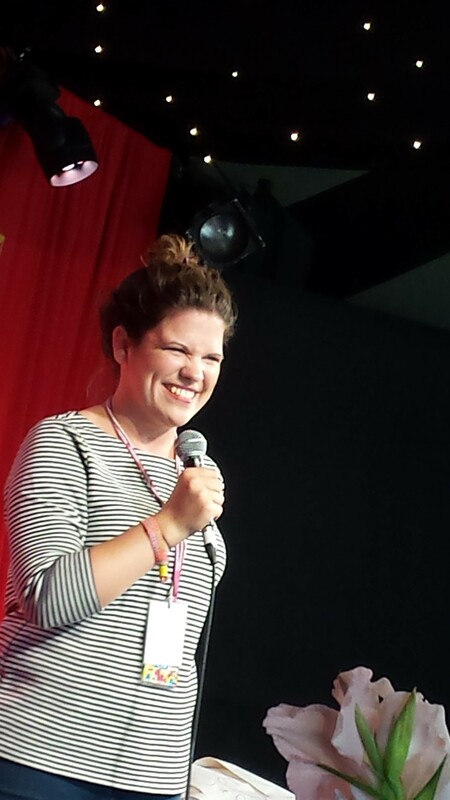 Huge thanks to Benita, Helen and the team, and all the genuinely brilliant poets who’ve graced the stage this year. It’s been real. This entry was posted in Glastonbury Poetry 2015. Bookmark the permalink.